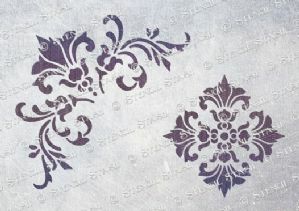 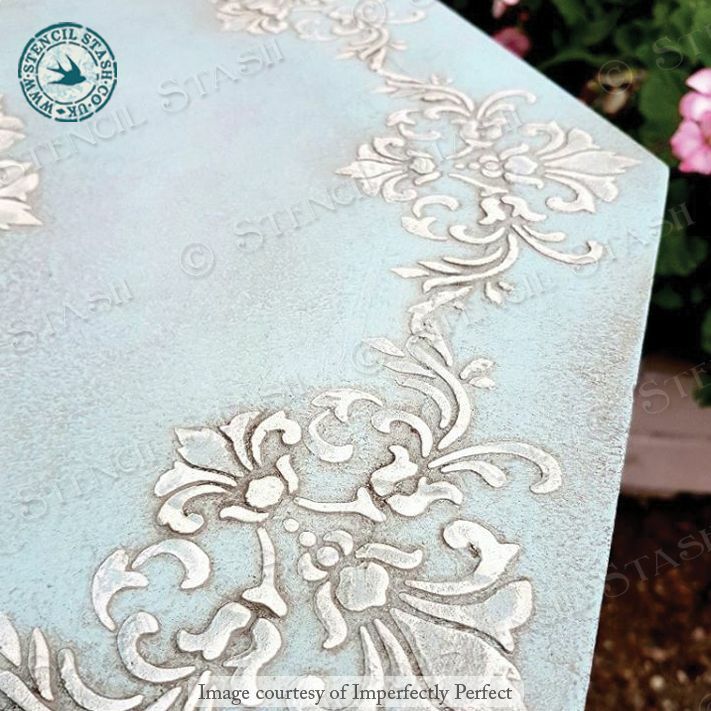 A pretty pair of damask designs that can be used in various ways. 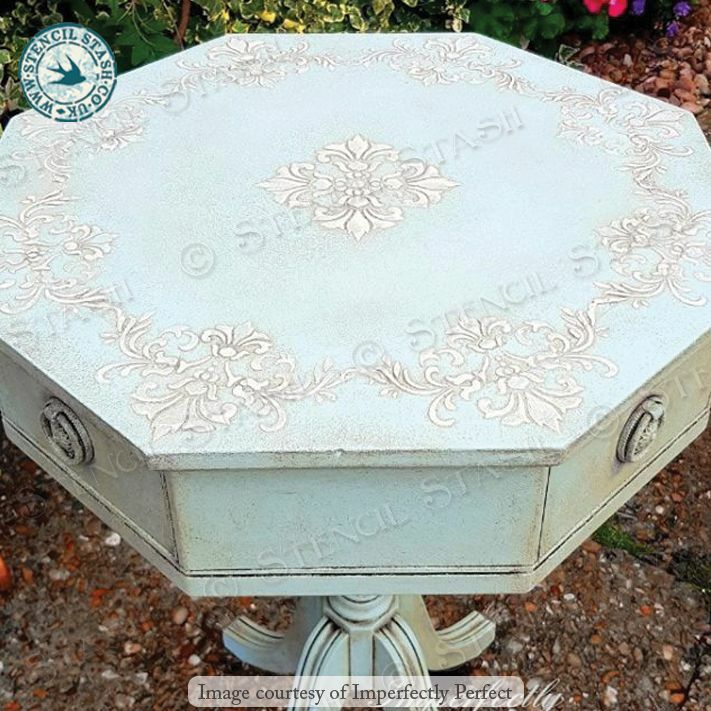 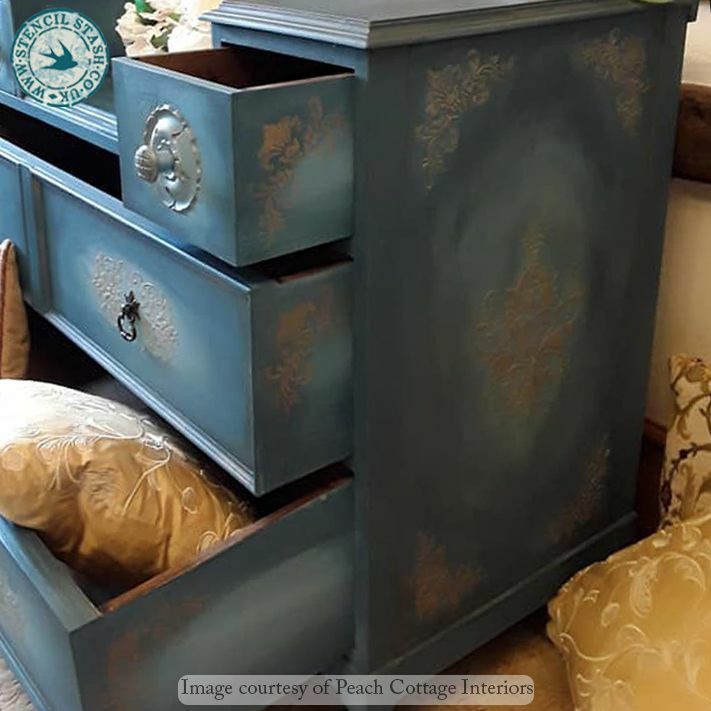 Perfect for furniture and shabby chic projects. 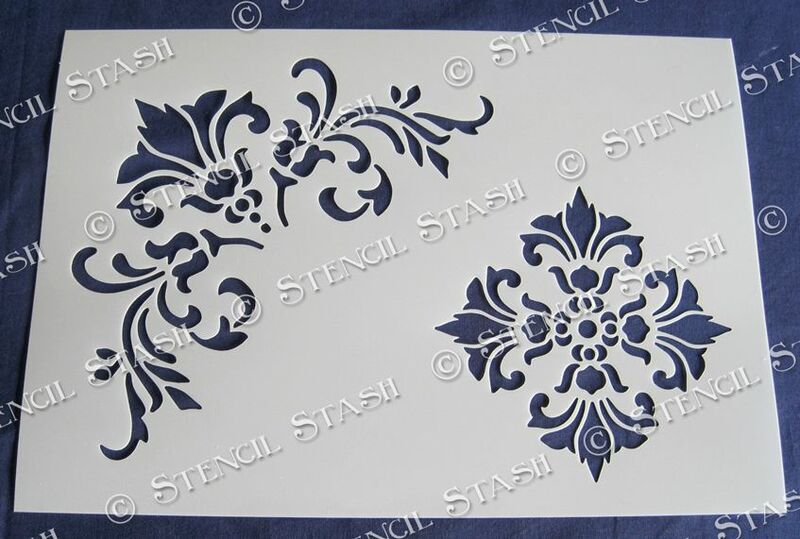 Can also be used with plaster to create a raised effect.